Mateusz Morawiecki became the Prime Minister of Poland in December 2017 having entered politics two years previously. He joined the government as minister for economic development before adding the post of minister for finance in 2016. He is well-known for recently championing plans to develop the Polish Investment Zone to encompass the entire country, helping stimulate investment, particularly from Polish entrepreneurs. He was born in June 1968 in Wroclaw and from the age of 13 was involved in communist opposition activity following in his father’s footsteps who was a teacher, well known and respected activist. The family values were deeply rooted in patriotism and placed a high value on education. He attended the University of Breslau and studied in the Faculty of Philosophy and History. While a student there he took part in the occupation of the university in 1988. His first thesis was written about the origins and first years of “Fighting Solidarity”. The source of much of the material was conversations with members of the opposition. It has become a unique story of the independence resistance. Further years of study followed during an extensive and formal education. 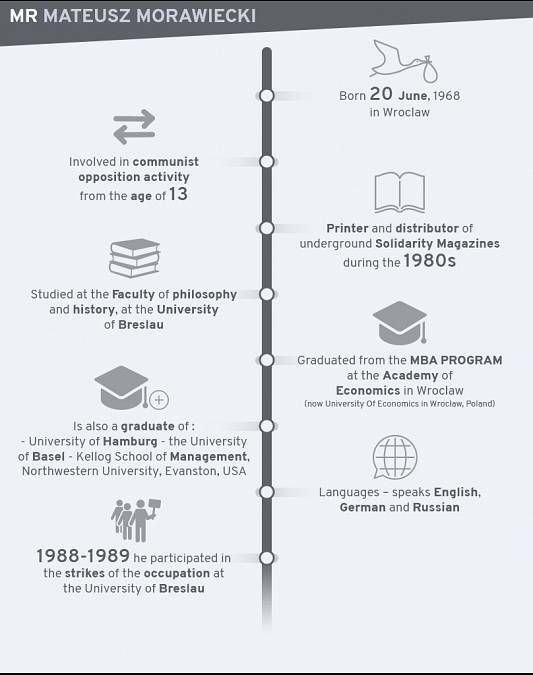 He graduated from the Wroclaw University where he studied in the MBA program. He is also a graduate of the University of Hamburg, the University of Basel and the Kellogg School of Management. His studies took him too to the USA and the Northwestern University in Illinois. 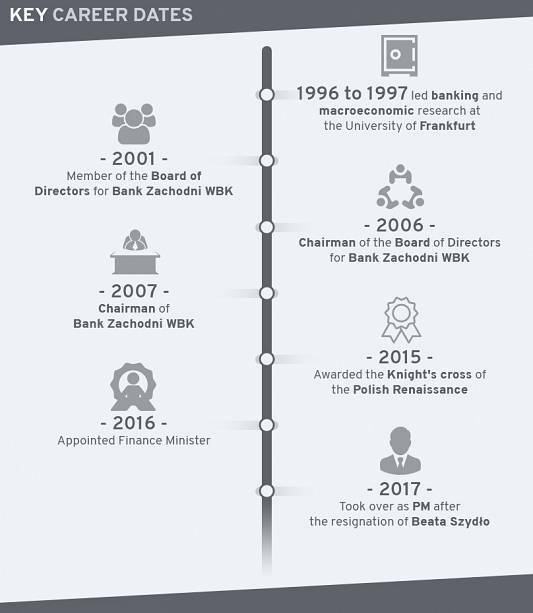 He began a career in banking in 1998 and by 2001 was a member of the Board of Directors of Bank Zachodni WBK. Six years later he was appointed the bank’s CEO. Under his leadership BZ WBK which is owned by Spanish bank Santander became the third largest financial institution in Poland and now supports more than 4 million individual customers and businesses. The prime minister remained independent politically and chose not to join a political party. In 2010, however, he acted as an economic advisor to Donald Tusk of the Civic Platform (PO) party. 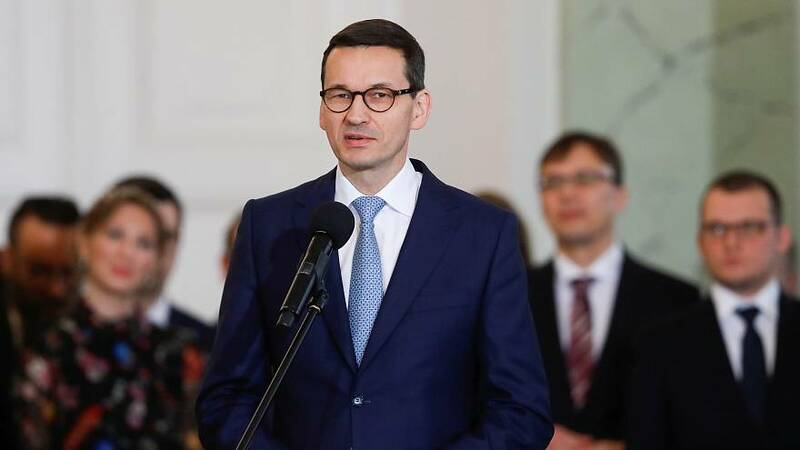 In 2015 Morawiecki was then appointed minister of economic development of the majority government formed by the PO’s principal political rival, the conservative PiS. 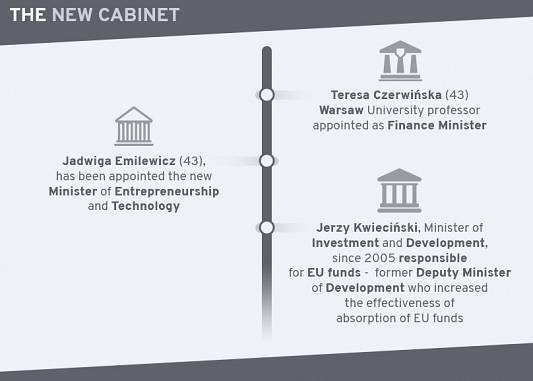 Having joined the PiS he became the finance minister in 2016 and the post of deputy prime minister was added to his responsibilities that year as well. People who know him describe Mr Morawiecki as an unusual mix: a former banker at ease talking to international investors who during his time at Santander rose to the top of Polish finance: but also a fierce patriot determined to restore the fortunes of a nation brutalized by 20th-century history. He is married with four children and speaks English, German and Russian.